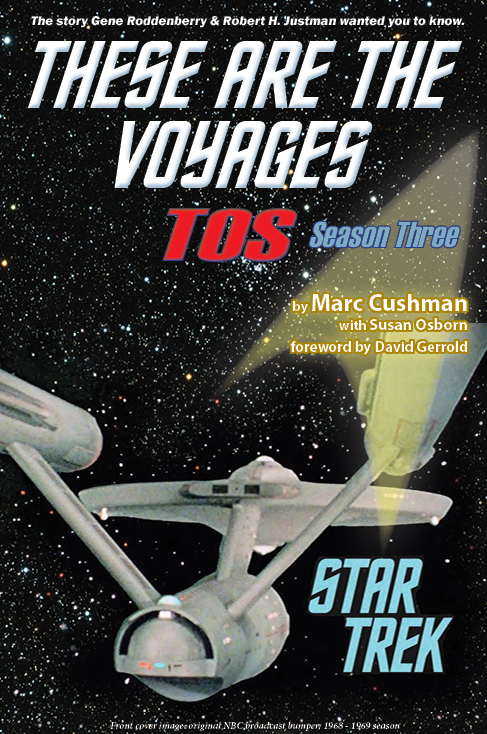 "These are the Voyages: Season Three is an impressive work of painstaking scholarship, and [Marc Cushman's] prose style is worthy of the extensive research involved." - Jean Lisette Aroesta (writer of TOS episodes "Is There in Truth No Beauty?" and "All Our Yesterdays"). "Marc Cushman has reported the problems of the third season with a wise eye and deft pen. He’s commented on Trek in perhaps the most riveting account of a show we thought we already knew and taught us there was so much more for us to learn and love. Thanks for all those hours, Marc Cushman. This is the ultimate Trek Bible." 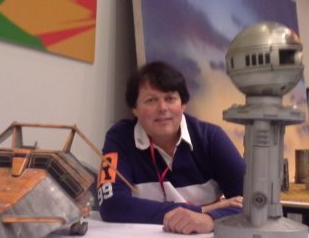 - Judy Burns, co-writer "The Tholian Web"
"Marc Cushman's exhaustive account of the making of the original STAR TREK provides insight, illumination and explanation I've waited literally my entire life to receive. From reestablishing Gene Roddenberry's own reputation as a gifted writer to finally shedding light on the origins of "Spock's Brain," THESE ARE THE VOYAGES can be considered nothing less than sacred texts for this Trekker." - Robert Meyer Burnett - Writer/Director FREE ENTERPRISE, Producer STAR TREK: THE NEXT GENERATION Blu Ray Special Features. "Marc Cushman has done a truly masterful job with These Are the Voyages: TOS, Season Three. This may be the best volume yet, and its contribution to the Star Trek legacy is incomparable. Marc has done a sensational job of dispelling decades of false assumptions and his focus on the real successes and failures of Fred Freiberger, including interviews with his children and would-be biographer Peter Greenwood, is both superb and eye-opening. Congratulations to Marc Cushman, with Susan Osborn, on another remarkable effort and an essential purchase for any Star Trek fan"
- Mark A. Altman, writer/producer, Free Enterprise, Los Angeles Times' "world's foremost Trekspert"
Director of Star Trek: TOS episodes "This Side of Paradise," "Metamorphosis," "Bread and Circuses," "Obsession," "Return to Tomorrow," "Is There in Truth No Beauty?," and "The Tholian Web). "I was amazed at the thoroughness and the amount of detail. Well done!" 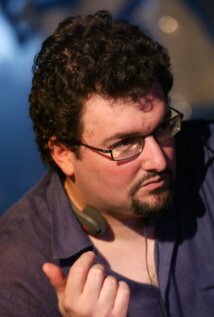 Director of Star Trek: TOS episodes "And the Children Shall Lead," "Day of the Dove," and "All Our Yesterdays". "At last, the full account of how Fred Frieberger tried to keep his sanity on an almost impossible show to produce -- with a reduced budget and more problems than any one producer has ever encountered. 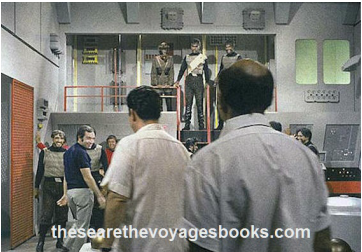 These Are the Voyages is an amazing, insightful account [on the making of Star Trek] by writer Marc Cushman. This is a must own group of books. If you don't have a set of these books, then the question is ... why not? "